The seventh BIG5 Sport Challenge, one of the highlights of the annual Pick n Pay Knysna Oyster Festival, will be hosted again this year as part of this festival from 1 to 10 July, 2016. This prestigious multi-sport event includes the Knysna Cycle Tour MTB Race, the Momentum Cape Times Knysna Forest Marathon 21km run, The Featherbed Trail Run, Knysna Dragon’s Lagoon Mile Swim and the Momentum Health OatWell DualX, powered by PeptoPro. The BIG5 Sport Challenge has become a bucket list item on the local and international endurance and adventure race calendar. In this multi-sport stage-race event, athletes compete in five pre-determined events and a points system is used to determine the winners. In the BIG5 Lite, four of the events are pre-determined but participants choose one of three other events to make up their fifth event result.  Entrants to the BIG5 Sport Challenge enjoy a one-stop registration process where only one online entry form needs to be completed covering all five events. None of the events will have to be entered separately. Athletes will also enjoy preferred seeding for all events, free access to the individual award ceremonies and the overall prize-giving event at the end of the challenge. With the event being so popular (across the field of events at the Pick n Pay Knysna Oyster Festival) a limited field of 125 entries will be made available for the BIG5 and 125 entries for the BIG5 Lite. The BIG5 Lite offers athletes a reduced distance challenge and the option of choosing one event from a number of disciplines including mountain biking, road cycling, open water swimming, paddling, trail and road running to make up their five events. If you like racing with your Club Team Mates, join the BIG5 Club Champs. Race with your team and collect points in each event you finish to help your club team move up the leader-board. Please do not forget to enter the correct name for your club when you enter!